Today I have an unusual post for you, I was thinking when we are on the beach or in a club with our friends, where everybody is drinking, we do not have a lot of healthy options (besides water). So between two “bad” options which one is the write one? So which drink is better or should I ask worse? 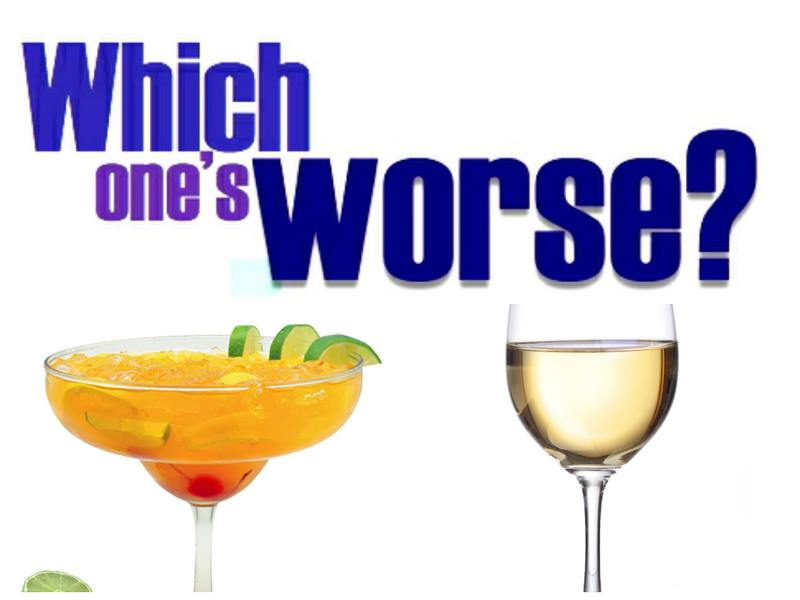 A delicious margarita’s cocktail or a classy glass of wine? Both drinks are loaded with calories,drinking a cooling margarita is like having a lunch. Having 2 glasses of wine equals to a cheeseburger … so think about it, you just drink your lunch! So try to stick on one measurable drink, be aware that a traditional margarita has 33% of alcohol, and we know that you will not stop at drinking just one! Today I have for you a quick and very nutritious breakfast/ brunch recipe. If you are an avocado fan, than this recipe is definitely for you! These avocado cups are very easy to make, you can pop them in the oven while you shower. 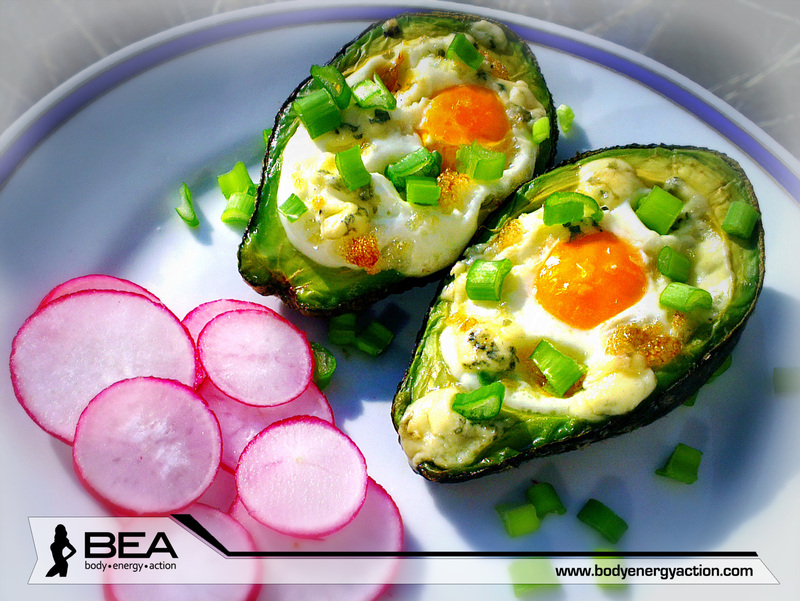 The healthy fats and protein from the eggs gives you long lasting energy and the creaminess of the avocado is so great with egg. You can top it with whatever you like, cheese, cherry tomatoes, pesto or olives. I topped them with some Roquefort cheese and green onions, and I have to tell you, they turned out fabulous! Topping as you wish: green onion, cheese, dried tomatoes or some hot salsa, just be creative! Preheat the oven to 350 degrees. Cut the avocados in half and carefully remove the pit. Put avocados open side up in a baking dish. If they are small avocados, scoop out a little to make more room. Top with desired toppings while still hot and enjoy!